Attention Event Pros! 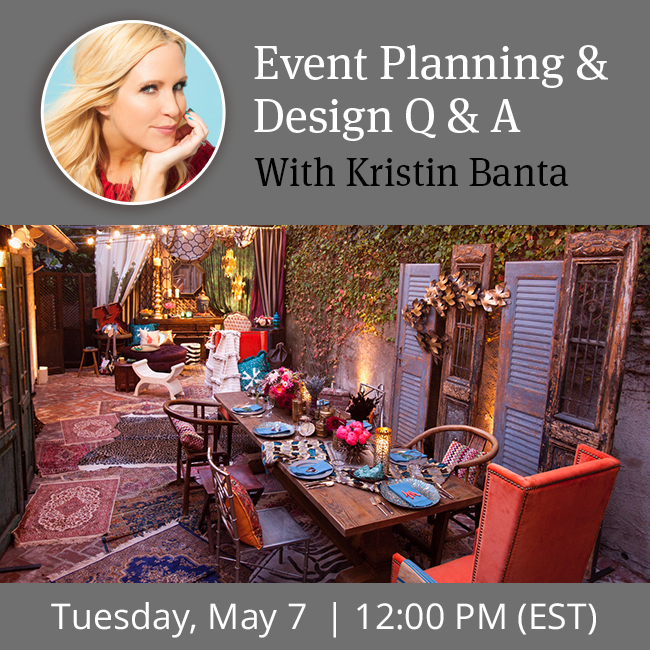 Kristin Banta wants to answer all of your event planning questions! She will cover topics related to the planning and design process and will be fielding incoming questions from webinar attendees. Feel free to email Emily@allseated.com with your questions in advance so that we are sure to cover them during the webinar!